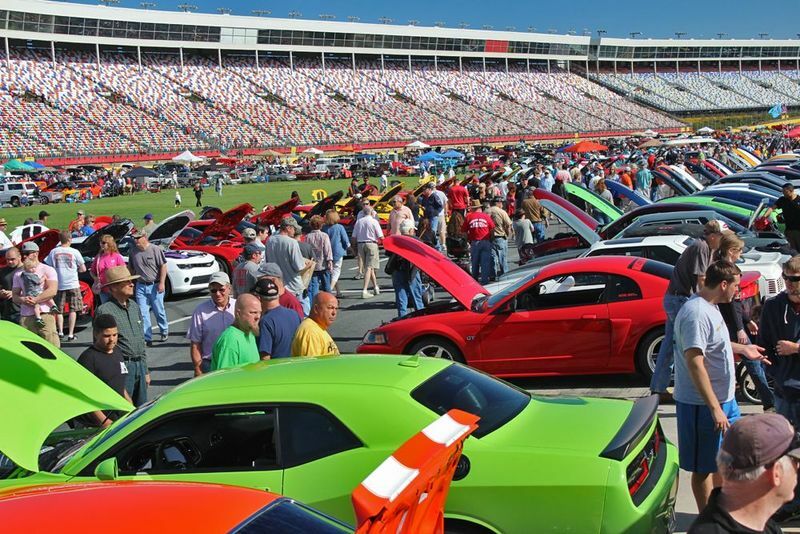 Charlotte Motor Speedway is once again the host for the Pennzoil AutoFair presented by Advance Auto Parts when a cavalcade of candy-colored cars make their way to the iconic superspeedway this weekend. This year's event will feature thousands of hot rods, muscle cars, sports cars and vintage vehicles. These awesome machines will be on display all throughout the Charlotte Motor Speedway property. Spectators will have an opportunity to get up close and personal with some of the world's finest vehicles. As if the spectacular cars on site aren't enough, fans will have an awesome lineup of entertainment that makes the four-day pass a necessity. A few of the featured activities include new features like the Dodge ride-and-drive and equine acrobatics with the Shea Rose Vaulters. Levy Concessions, Charlotte Motor Speedways food service partner, will have an all-star lineup of delicious treats and the swap meet will be a car lover's paradise for hard-to-find parts and memorabilia. Here's a sneak peak of the 10 things fans can't miss at this year's Pennzoil AutoFair presented by Advance Auto Parts. The star of the TV show "Street Outlaws: New Orleans" has made quite the name for himself. Kelley challenged and beat the Oklahoma City Street Outlaws, leading to his own spinoff of the wildly popular Velocity TV show with Kelley as the front man. He has been the man to beat in street racing ever since. Kelley and his Pro Mod Camaro "The Shocker" will be on hand both Friday and Saturday. The Mississippi native will hold autograph sessions from 10 a.m. to 1 p.m. and 2 p.m. to 5 p.m. alongside his high-octane dragster both days. AutoFair cars aren't just for show. Fans will have a chance to get into a Dodge Ram and traverse "The Mountain" as part of a new Dodge ride-and-drive program at AutoFair this year. This awesome hands-on experience is available all four days for anyone with a ticket. The interactive course set up on the south side of the showcase pavilion (XFINITY garage) and includes much more than just "The Mountain." Drivers and riders alike get to experience the articulation bumps and side hill in the Dodge Ram. More than 10,000 vendor displays with every car part imaginable fill the infield and spill over into areas just outside the 1.5-mile oval. Fans have a chance to cruise through a market of lost treasures as they wander the grounds of the swap meet. Whether patrons find a car part they thought was never to be found again or a piece of memorabilia that can't be left behind, no one will leave empty handed. It is a goldmine of automotive antiques. Not only will children 13 and under get in for free with an adult ticket purchase, they have an entire play zone dedicated to their entertainment. This year's play zone features some awesome inflatables such as the patriot slide, a racecar moon-bounce and a bungee trampoline. This kid oasis of fun also includes a show car and carnival games. Last, and definitely not least, is the petting zoo. A 70-by-25-foot space filled with lovable animals, and the perfect place to make lasting memories. Of all the tremendous speed on display at the Pennzoil Autofair, the most entertaining may be the pig races in the Kids' Zone just outside the showcase pavilion. Hogway Speedway is bringing their best lineup of pigs, ducks and goats for racing shows, with four shows each on Friday and Saturday. With the pigs scurrying, ducks waddling and goats hopping, no one will want to miss this spectacle. Fans can take a break from the cars and witness the cutest speed on display. This show will surely provide entertainment for all ages. Levy Concessions is bringing a delicious lineup of food to this year's Pennzoil AutoFair. Along with their regular lineup of tasty treats, they are bringing some crowd favorites. The BBQ Sundae, a concoction of mashed potatoes, slaw and BBQ served together in cup, is a must have. The Candied Funnel Cake is a delight made up of fried dough with powdered sugar and chocolate syrup. The finishing touch on this treat is delicious coated chocolate candies. The Butcher and Baker burger is almost too good to be true. It is a half-pound burger with bacon and cheese sandwiched between two glazed doughnuts. More than 50 area car clubs will be featured at this year's Pennzoil AutoFair, showcasing more than 2,000 vintage, classic and custom cars as part of the Pennzoil AutoFair's car corral ringing the 1.5-mile superspeedway. Many of these custom rides are for sale providing fans a one stop shop for those looking to find their dream car. Patrons looking for a break in the action should head up to The Speedway Club. On Friday and Saturday, The Speedway Club is offering a buffet lunch for only $17.95. Fans can enjoy a beautiful view of the track as well as enjoy the luxurious dining room inside the first-of-its-kind Speedway Club. Saturday afternoon, beginning at 4 p.m., The Speedway Club will also be offering a pasta buffet for diners looking for a unique dinner experience. The Showcase Pavilion will be hosting a hand-selected group of vehicles including a tribute to the Dodge Viper in honor of its final year of production. Within the display of Vipers will be Ray Evernham's 1995 Viper given to him by Rick Hendrick after Jeff Gordon's 1995 NASCAR Cup Series championship. Other featured vehicles include vintage DeSotos for the automotive history buffs and more than a dozen intricately crafted superchargers that highlight the immense creativity and customization AutoFair visitors can enjoy. Beginning at 2 p.m. Sunday, the very best cars from each car club will face off in a Best of Show competition. A parade of the AutoFair's candy-colored cars will roll through Victory Lane at Charlotte Motor Speedway, as they get judged as Best of Show. For those who don't win Best of Show, they will be hoping for a specialty award such as, ladies choice, best paint scheme, best restoration and more. Fans can watch the Best of Show presentation and see who takes home the show's top prize. 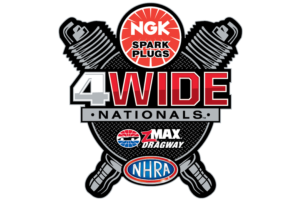 Tickets, camping and upgrades for NHRA Carolina Nationals event are available at the gates or by visiting http://www.charlottemotorspeedway.com/tickets/nhra-carolina-nationals/ or calling 1-800-455-FANS (3267).